It's quite unfortunate when a person, especially someone who has entertained many passes away and it seems that nobody remembers them for their accomplishments. 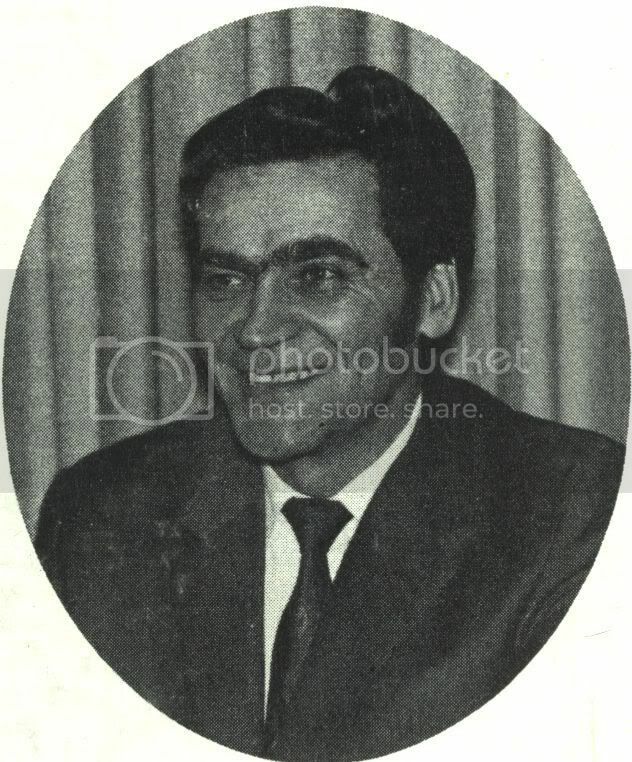 A few months ago, I was surprised to find that Roy Mykytyshyn passed away (1945-2006). I found out just by doing a random search on Google. 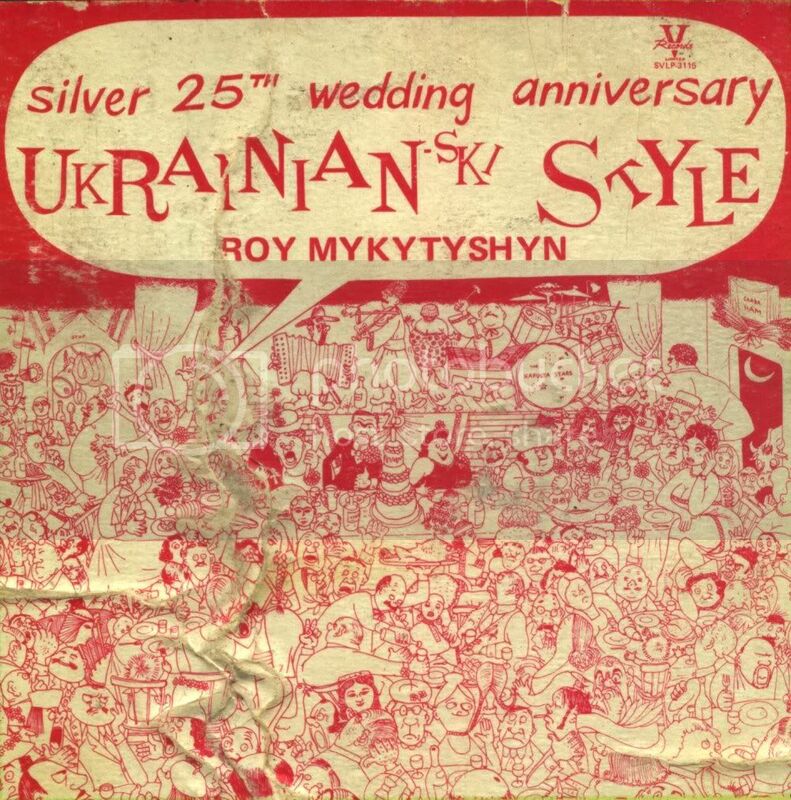 Roy was a comedian / musician who put out records sometime in the 1970s that was mostly aimed at those who spoke Ukrainian. My grandmother was such a person and owned quite a few of Roy's records, many of which I listened to when I was a young boy. I enjoy all kinds of music, and listening to my grandmother's records was something for me to do while we were visiting her even though I couldn't understand nor speak a word of Ukrainian. After finding almost nothing on the web except for a mention from a local legion and a brief obituary, I decided that I should put something up. Here are some photos, the obituary I found (which is no longer up) and some of his music. If I could recommend only one song, it would be the Hop Hop Car Song. If you would like to contribute your memories of Roy, please add a comment. I'll be putting all of his works up for download. If I'm violating copyright by putting his music here, please let me know and I will take it down. 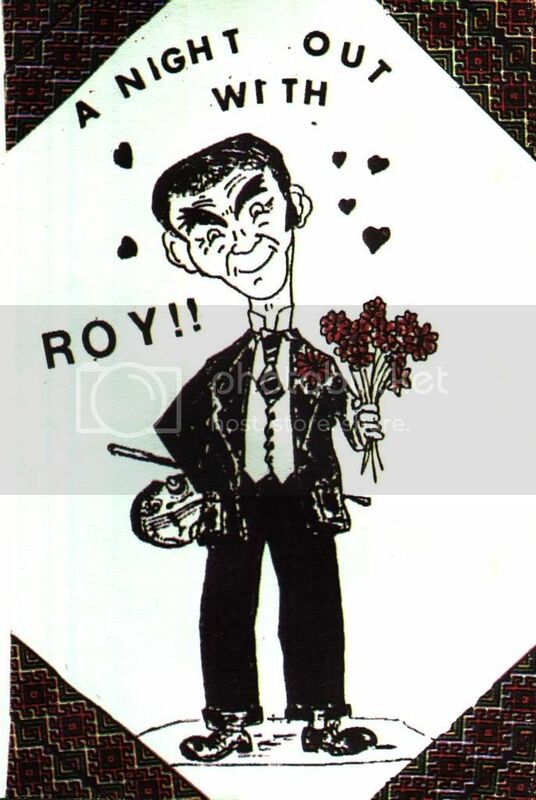 As far as I know, NONE of Roy's music is available on Compact Disc, or is currently in print (with the possible exception of "A Night Out With Roy") If you're looking for official copies of his albums, they pop up on Ebay occasionally. ROY MYKYTYSHYN October 24, 2006 In loving memory of my husband and father. One year ago today, you were taken away from us, We think of you in silence and speak to you and say your name. You memory is our keepsake God has you in His keeping, We have you in our hearts. - Sadly missed and loved, your wife Betty and family. Comments: Roy's first album and probably my most favorite. The mix is good, the songs are unique and interesting, and the Hop Hop Car Song is amusing for anyone! However, I'm convinced that the original pressings of this album were done with a defective master disc since every copy I've heard is full of noise in the same places. Comments: Never been much of a favorite of mine, likely due to the poor production work on this album. The mix could have been a lot better. 18) Finish Kolomayka For More??? Comments: Great album all around, one of my favorites. Excellent production work makes it an enjoyable listen. 03) Oh My Wife, What Are you Good For? Comments: Another great album with fantastic production. This one's a bit hard to find. Comments: Probably the most bizarre album of them all, but very nice production work. This seems to be the hardest one to find. Comments: Anne Kraichy played the fiddle on Roy's albums. This is one of her solo albums, released on Ollytone Records. From the look of the professional packaging, my guess is it was released on cassette only. According to a reader, she has another solo album (Kozachok) released on V-Records. If I find it, I will post it as well. Wow, what an awesome tribute to a great man. 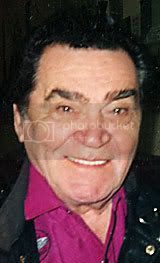 Roy Mykytyshyn was my uncle and I was fortunate to spend much of my life with him. He was such an entertainer and could put a smile on anyone's face. He was definately one of the biggest influences in my life. I saw him perform many times in many places in both Manitoba and Ontario. I will pass this blog on to others and hope to return soon myself with a story or two. had the pleasure of working with and getting to know "Uncle" Roy. Wow what a humorous and talanted man. Sadly missed!!!!! I got to work and travel with "uncle" Roy. Along with his wife and my friend Betty. Sadly missed . i remember the hokey pokey song cracked us all up!!!!! I was Roy's grand-daughter.. I live in Ontario and never got to spend much time with him but I have some of his music on cd's and listen to it from time to time.. We used to sing together all the time.. Great to see that other's know of his music. Could you get more tracks posted? 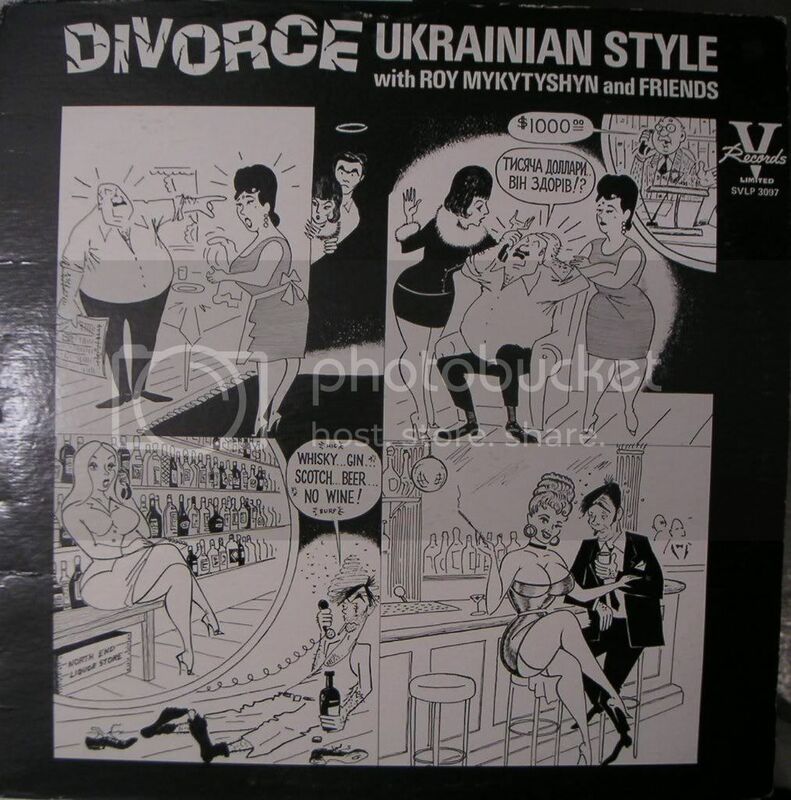 I have the "Divorce" record but none of the others ... great stuff! 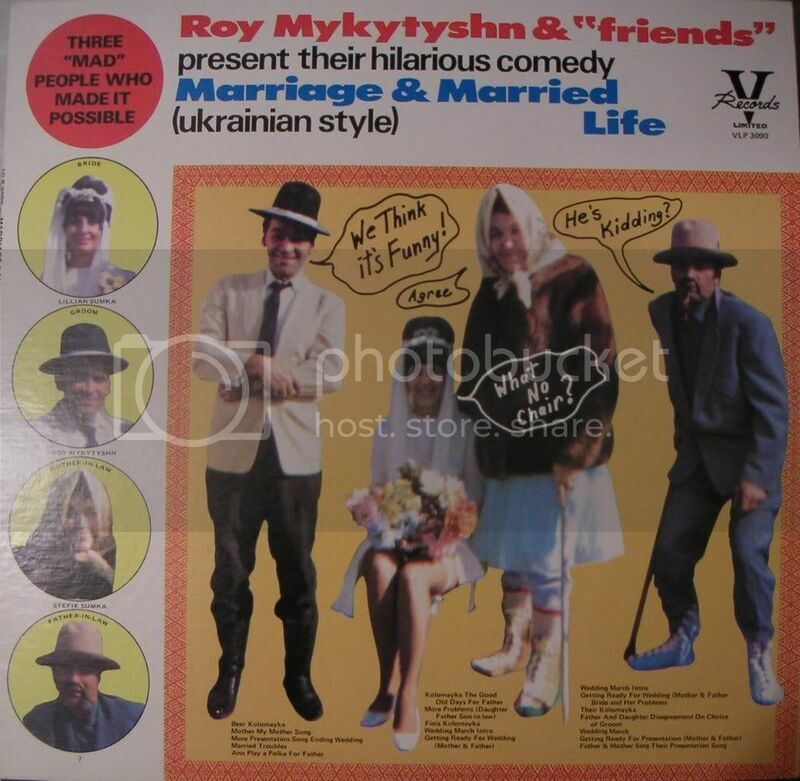 I have been listening to Roy for many years now,there is also Christening Ukrainian Style,I have the 3 cassettes Diorce,Marriage and Christening their all very good glad to have found this site thanks. Full rip of which one? The Divorce one is already up. thank you 4 remembering my father. Thank you very much for Roy Mykytyshyn albums! Could you please upload the rest of three albums? P.S. Is it ever possible that you have the albums not only in mp3, but also in some lossless format (like wav or flac)? If not, mp3 would be fine! Thanks to you, recognized this artist, I'm sorry for my english. Завдяки Вам, упізнав цього виконавця, вибачте за мою англійську. I'm hoping to get the other albums up by the end of the week, and I can certainly provide a lossless format. It would be a wonderful gift, grateful for the previously! 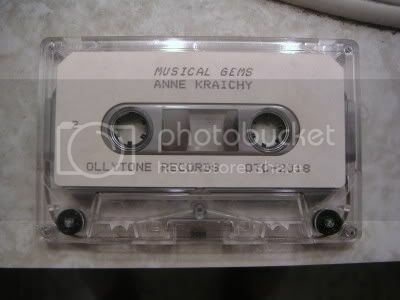 Would anybody want Anne Kraichy's album available too? She played the fiddle on Roy's albums. Thank you very much for all those great albums! Looking forward to get them in lossless too. And yes, it would be great to listen to Anne Kraichy's solo album! I have found on Google a mention about her album "Kozachok" (VLP 3080) - do you have this one? Everything's up! All the MP3s, the new copy of the Silver 25th album, and the Anne Kraichy album. Lots of work putting it all here, but I've had enough requests to warrant it. Ben Century, Thank you so much for the work done, very good quality! The album Anne Kraichy - Musical Gems, great! If you want to listen to Ukrainian performers, the tracker http://toloka.hurtom.com will help in this. I have a small collection of Peter Hnatiuk albums that I may post in the future. 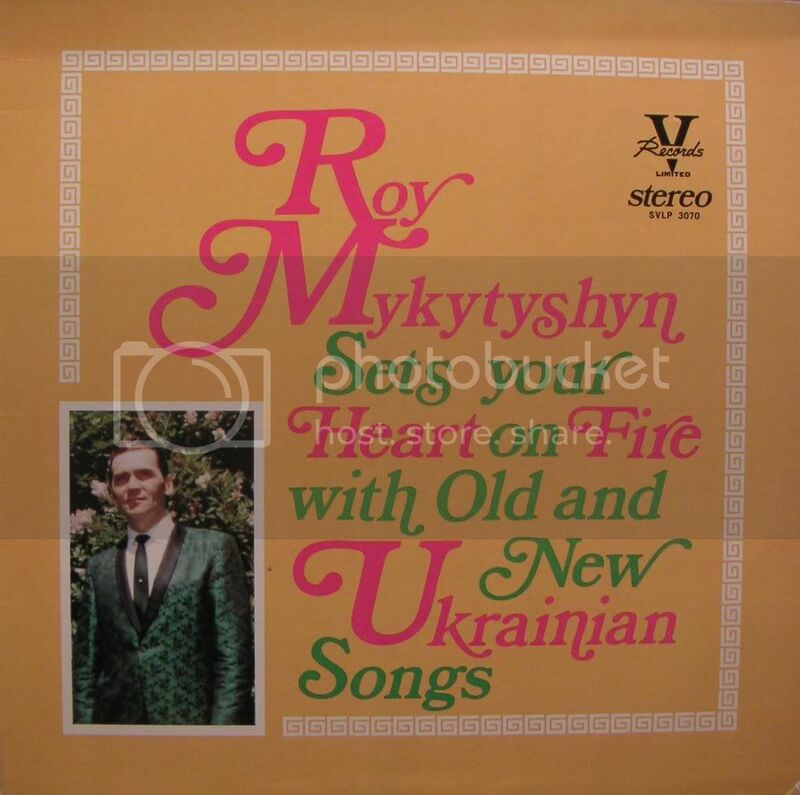 peI was totally amazed to see these albums and information about Roy Mykykyshyn on this blog. I grew up listenening to these records as a child as my parents played them all the time. They helped me learn ukrainian which I still speak until this day.